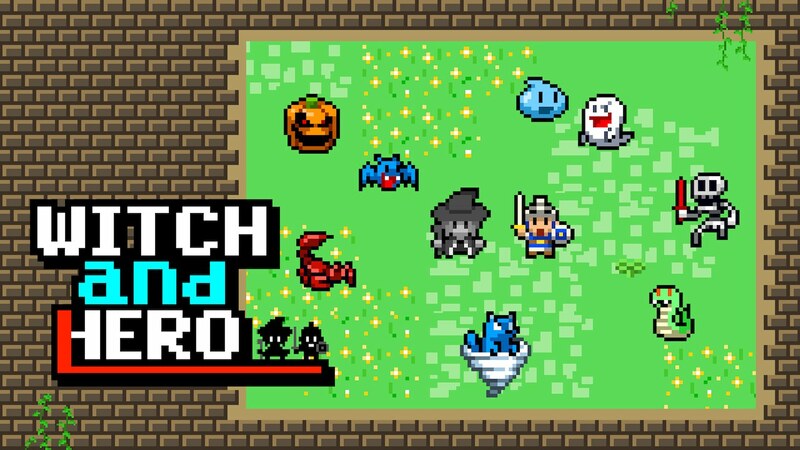 Flyhigh Works has announced that Witch and Hero will release on Nintendo Switch this week, an 8-bit style action game that was originally released on Nintendo 3DS. Now enhanced for the portable home console and HD displays, it will see you play as a hero who is accompanied by a witch who both seek their revenge. After Medusa turns the witch to stone, she is no longer able to move. It is up to the hero to defeat monsters and collect their blood to lift the curse for a limited period of time. The hero leads the fight, but you will need the witch’s destructive powers to overcome the waves of enemies as they become stronger. On Nintendo Switch, you can also choose to team up with a friend for co-operative play. Witch and Hero will release on the Nintendo eShop for Nintendo Switch worldwide on March 21st, priced at €4.99 ($4.99).